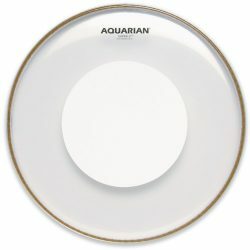 Precision-drilled holes around the outside of the HD Dry give this drumhead a unique dry sound, reducing overtones and decreasing sustain. The Evans HD Dry has a big attack, with very short and focused mid and low-end tones. 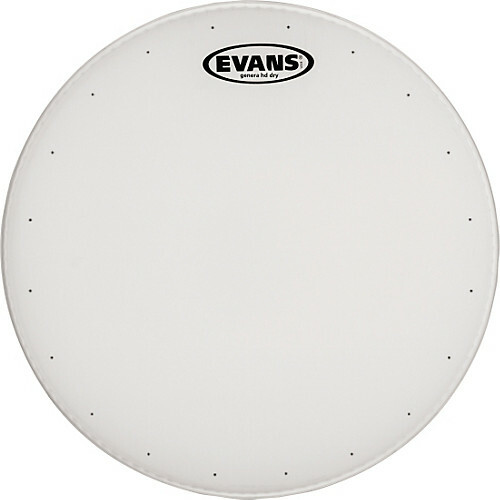 The Evans HD Dry is a 2-ply drumhead with a 5mil coated top layer, and a 7.5mil layer on the underside. The HD Dry also features a 2mil floating underside inlay ring, and precision-drilled dry vent holes around the outside of the drumhead. The sound is similar to the regular Evans HD drumhead, but with more controlled sustain and overtones. 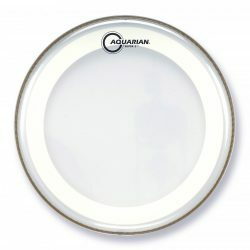 While the coating adds a little warmth, the HD Dry has an overall balanced sound due to the thinner 2-ply construction. 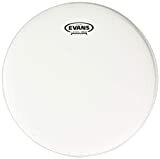 The vent holes on the Evans HD Dry give this drumhead a unique dry sound, meaning that sustain and overtones are reduced quite a lot. This dry sound is pushed even further by the added inlay ring. Overall the sound is very focused, with less ringing and more emphasis on the initial attack. 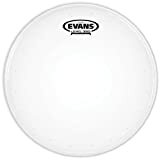 The Evans HD Dry gives a big bright attack, which is great for medium and high volume music styles. 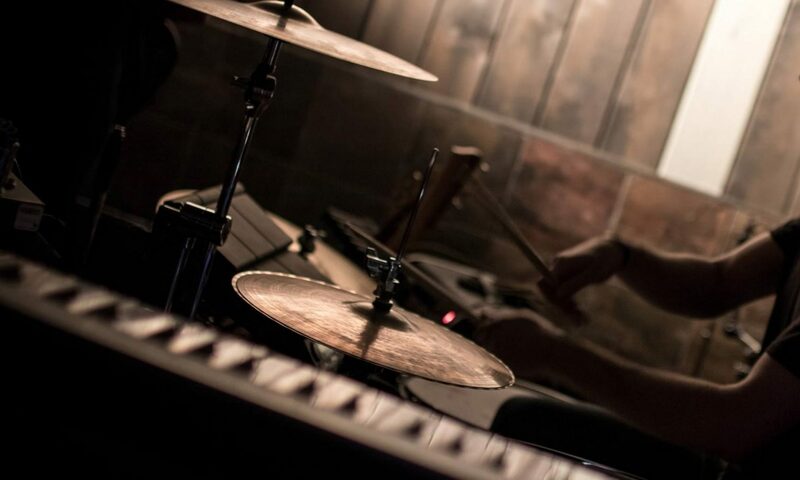 Your snare drum will be heard, even when things get a little louder. 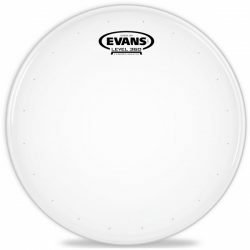 The Evans HD Dry is thinner than most other 2-ply drumheads, making it a little more responsive than heads like the Evans G2 or Remo Emperor. 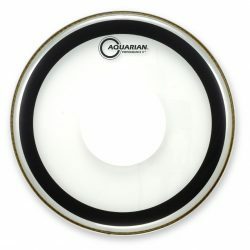 While this drumhead shines in louder environments, the thinner design also allows the HD Dry to be used for more sensitive drumming and lower volumes. The 2-ply construction gives some added durability, meaning the HD Dry can handle some heavier hitting when needed, and makes it great for some harder rimshots. 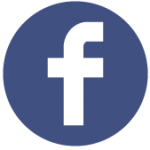 For extremely hard long-term playing, however, you may benefit from a thicker drumhead. 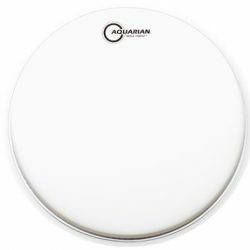 Overall this is a versatile and controlled drumhead, capable of holding its own across many styles of music. 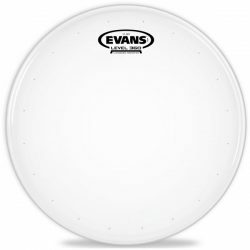 The Evans HD Dry is great if you want to stop your snare drum ringing out… The name “Dry” says it all. 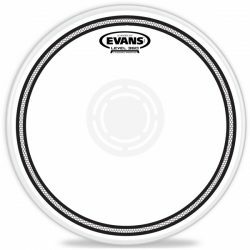 The Evans HD Dry is made for snare drums, and is available in 12″, 13″, and 14″ sizes.